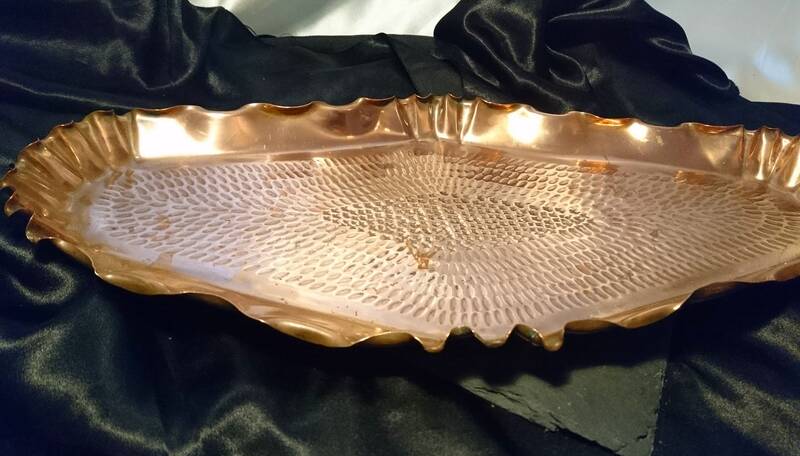 Large antique copper tray in a rustic arts and crafts style, elongated diamond shape with a hand hammered decoration. 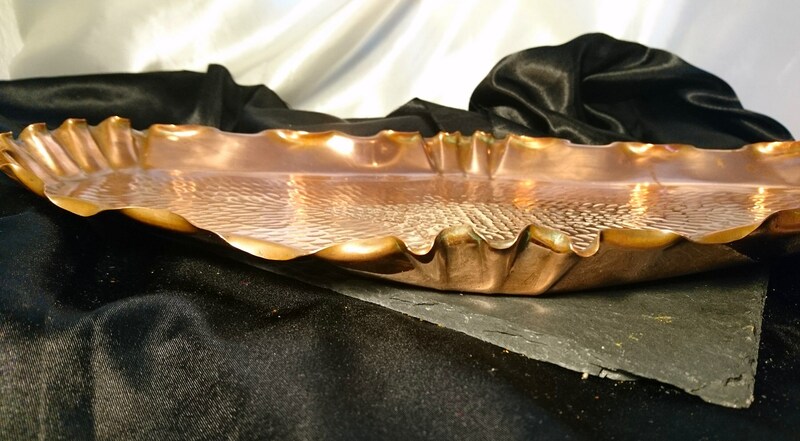 Pinched and fluted edging / rim. 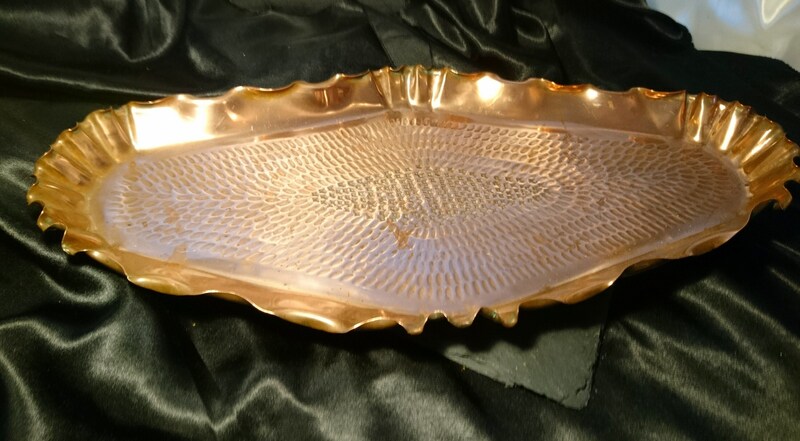 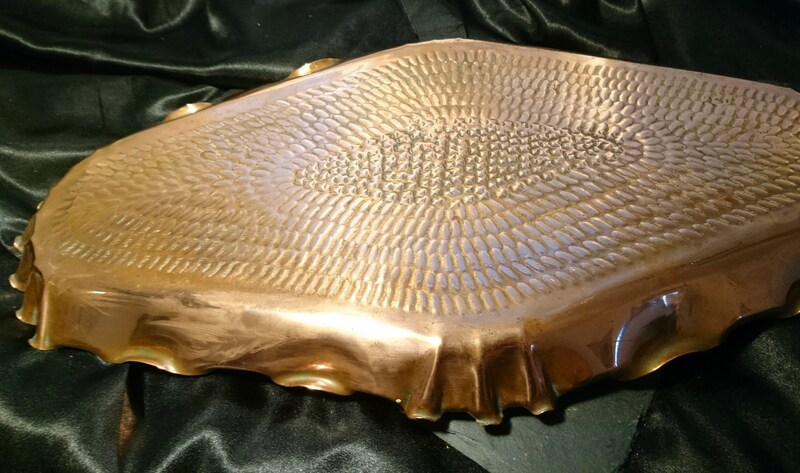 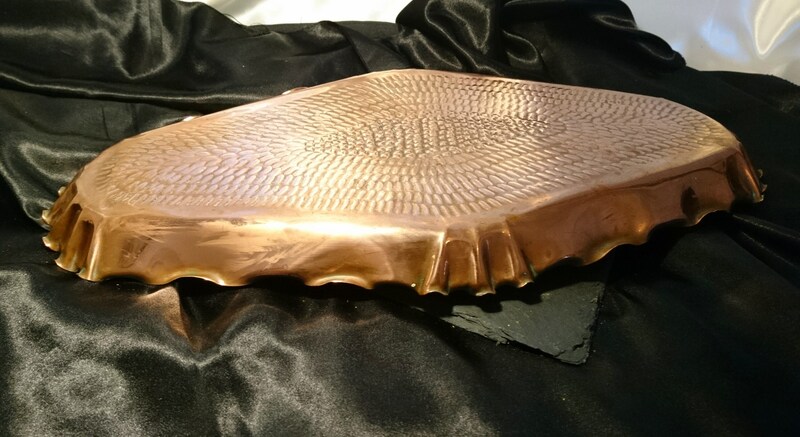 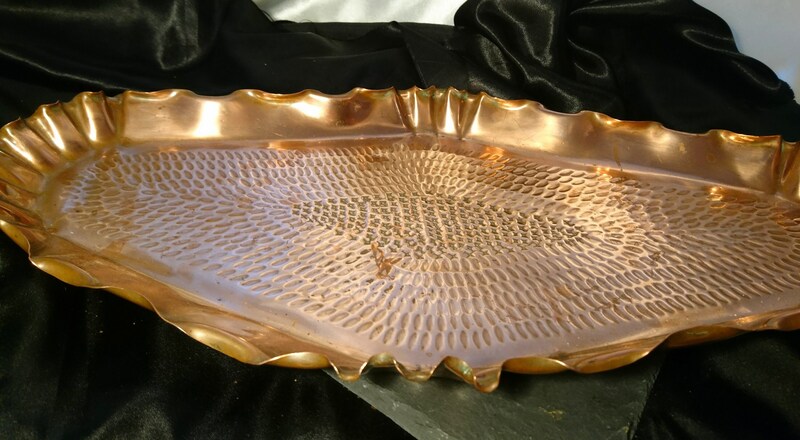 It is large and the tray has a primitive sort of design and looks rather like a fish platter in shape, the copper is strong and nice and lustrous. 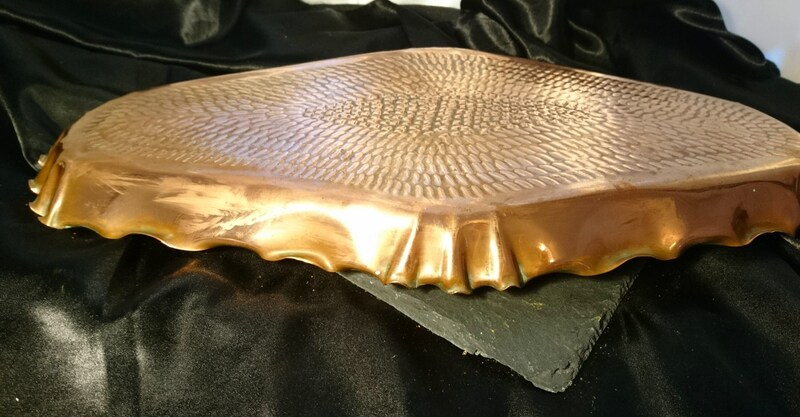 Would look lovely as a decorative piece or as a serving tray for food or fruit etc. 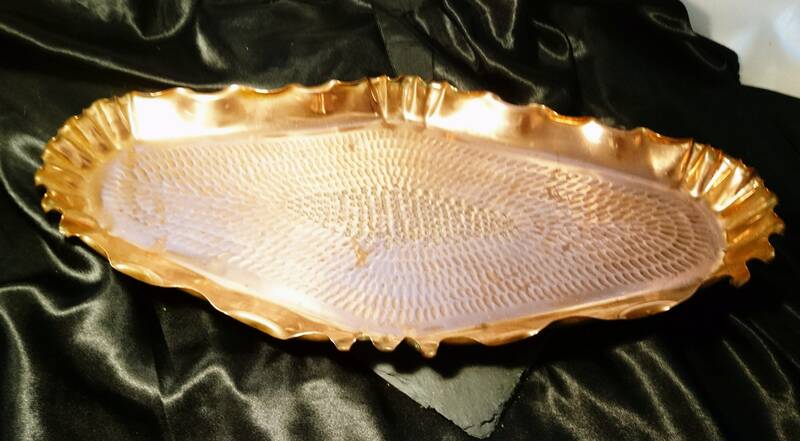 A good solid piece of antique copper in a typical arts and crafts style.